The city was founded a little after 1460 in a flat space of the Razumiat mountain, surrounded by deep cliffs, as can be appreciated in the beautiful model built by another Guatemalan in love with his country, Mr. Alfredo MacKenney. 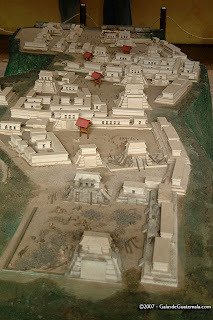 That model is part of the permanent exhibit in the Iximche museum. 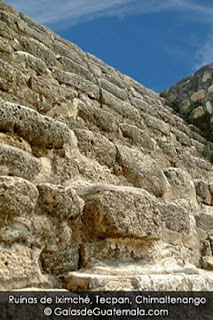 In the contemporary history of Guatemala, this archaeological site is very important because it is the last Maya city of the youngest Maya descendants, the Kaqchikeles, who due to rivalries with the K'iche, were forced to abandon their original settlement in Chaviar, a place that we know today as Chichicastenango. According to the chronicles, the Spaniards commanded by Pedro de Alvarado arrived on April 1524 and were well received by the ruling Lords Belehe Qat and Cachi Imox because they expected that the Spaniards will help them to defeat the K'iches. 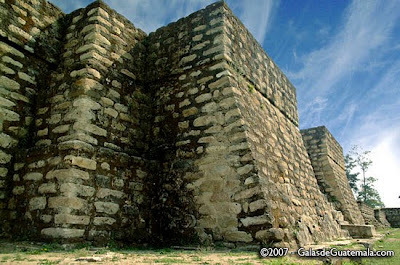 After several months of exploration through the Guatemalan territory, de Alvarado went back to Iximche and decided to build the first Capital of Guatemala very close to Iximche, in the town that we know today as Tecpan. 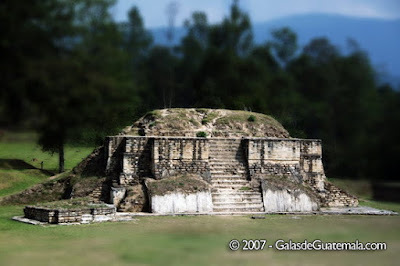 One of the theories is that both names, the Maya Kaqchikel voice Iximche and Guatemala, a derivative from the Nahuatl voice Quautimalan, mean "place of trees" because of the abundance of trees (specifically bread-nut trees -Brosimum alicastrum) in that area. Originally, the site was largely preserved by the Spanish due to their alliance with the Kaqchikeles against the K'iche; however, for a number of reasons, peace between the conquerors and Kaqchikeles did not last. 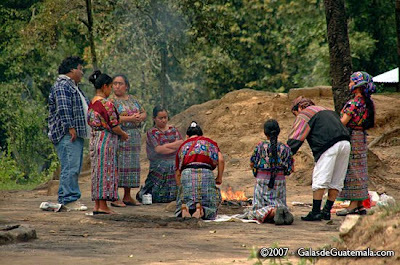 Due to continuous attacks from the Kaqchikeles, the Spanish burned the city, they then moved to the Almolonga valley (today, Ciudad Vieja in Sacatepequez) and for the second time, they built the Capital of Guatemala in 1527 at this other valley.